Ryan C. Sutton grew up in Flandreau South Dakota, where his natural curiosity and ability to think critically led him to pursue a Juris Doctor in Law. After completing a Bachelors of Arts in History and a minor in Business Administration at Augustana in 2013, Ryan went on to the University of South Dakota. During law school, Ryan was active in many organizations serving as a member of the Alternative Dispute Resolution Board, USD Sports Law Society Board, and the Delta Theta Phi Executive Board. Participation on these boards allowed Ryan to volunteer with, and raise funds for, the United Way of Vermillion. He graduated with honors in 2016 and was selected as a law clerk for the Seventh Judicial Circuit in Rapid City. Ryan’s move to the western half of the state was a welcome one. The community culture and natural beauty of the Black Hills make him feel at home. An active member of the Knights of Columbus and a volunteer for Junior Achievement of South Dakota, Ryan’s interest in community involvement has remained intact since his time in Vermillion. 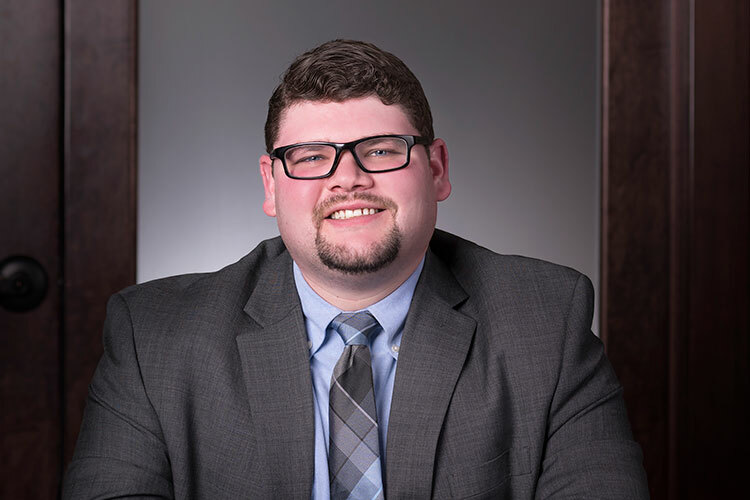 Ryan is also professionally engaged as member of the South Dakota and American Bar Associations and he is licensed to practice law in South Dakota’s state and federal courts. In January 2018, Ryan joined Gunderson, Palmer, Nelson & Ashmore as an associate attorney. Working closely with partners Dan Ashmore, Jason Smiley, and Rebecca Mann, his practice areas include Insurance Defense, Workers’ Compensation, Civil Rights Law, and Government Tort Liability. Ryan’s strong work ethic along with his personable and professional attitude make him a valuable addition to the GPNA team.